Lionel (John Glover) arranges to have Clark (Tom Welling) kidnapped and held in a kryptonite-lined cell at a Luthorcorp facility. 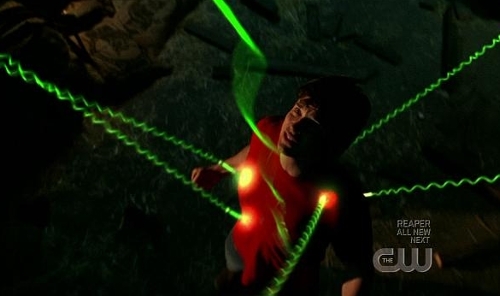 After Chloe (Allison Mack) and Lana (Kristin Kreuk) find a military electric probe at the farm, they confront Lionel, who throws suspicion onto Lex (Michael Rosenbaum). Chloe and Lana take Kara (Laura Vandervoort) to the Fortress and beg Jor-El to restore her memory as she is the only one who can save Clark. Glen Winter directed the episode written by Don Whitehead & Holly Henderson.